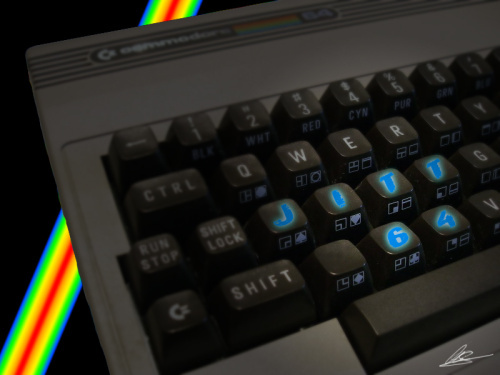 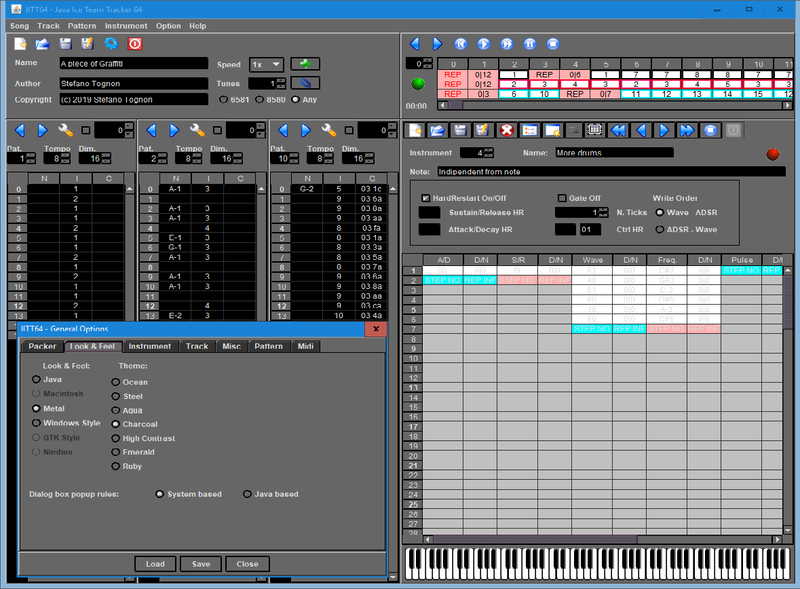 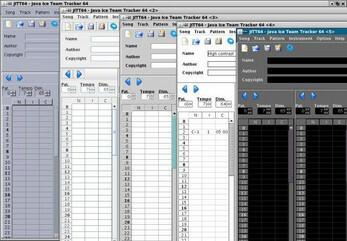 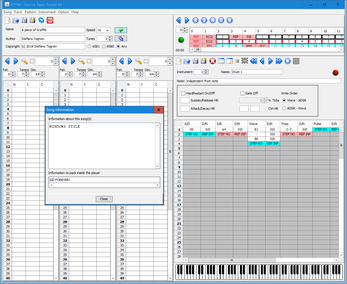 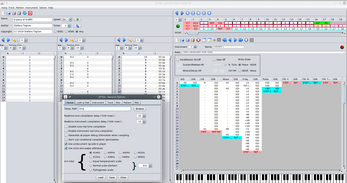 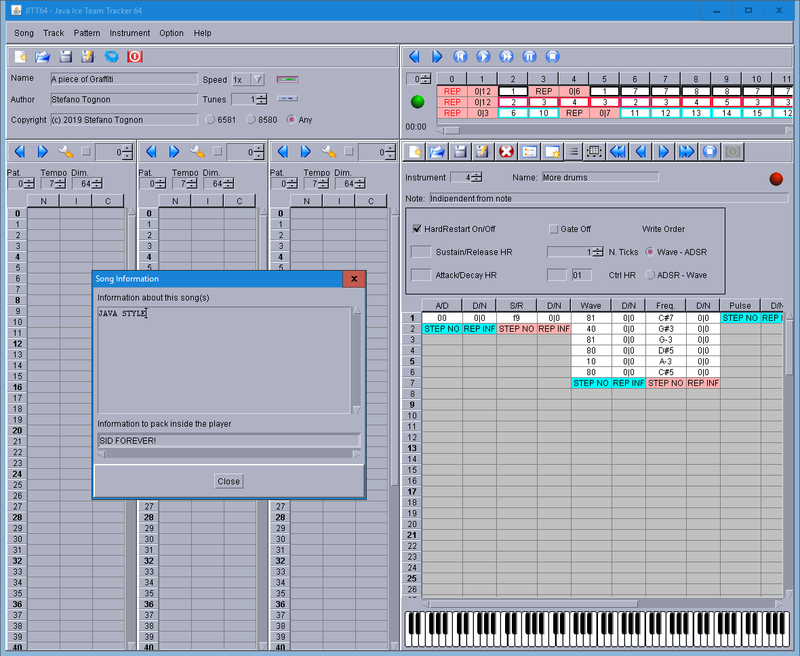 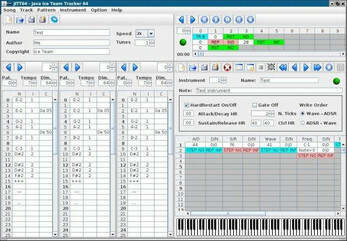 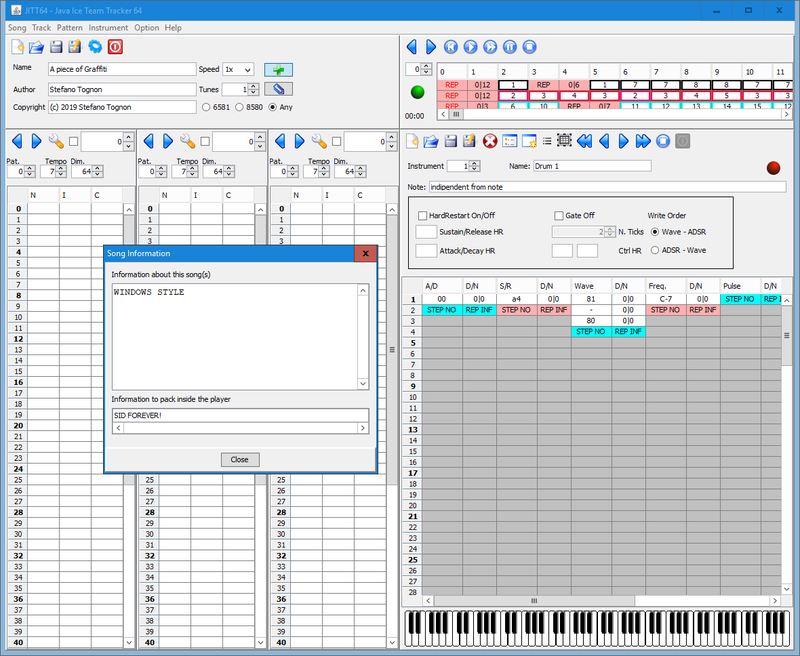 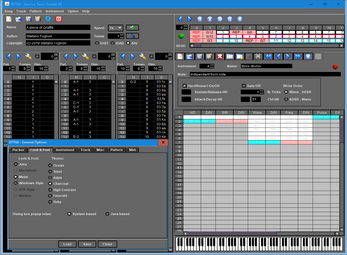 JITT64 (Java Ice Team Tracker) is a tool for creating music with the SID chip used into the Commodore 64. 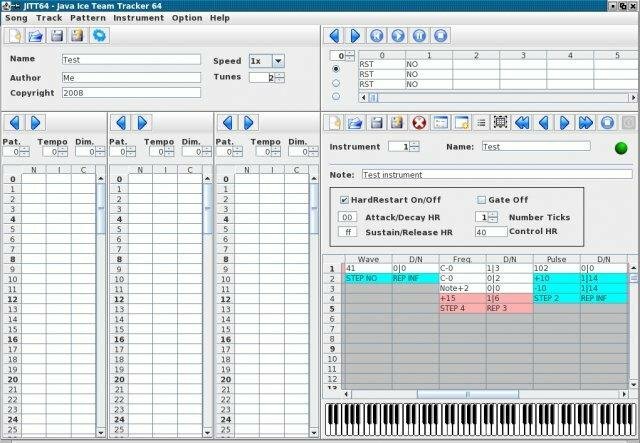 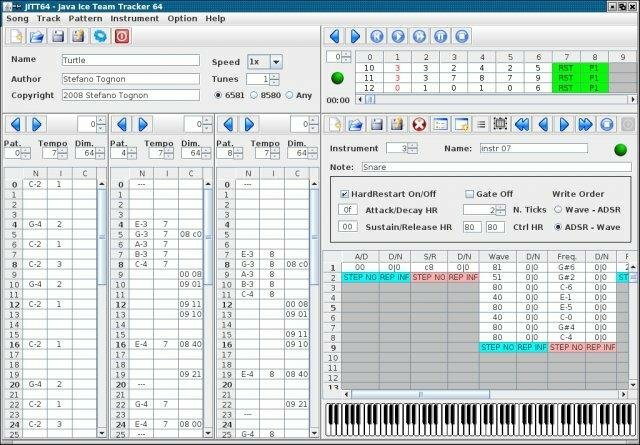 This tracker is for making music without using low rastertime, but instead gives you a possibility to make very complex instrument definition. 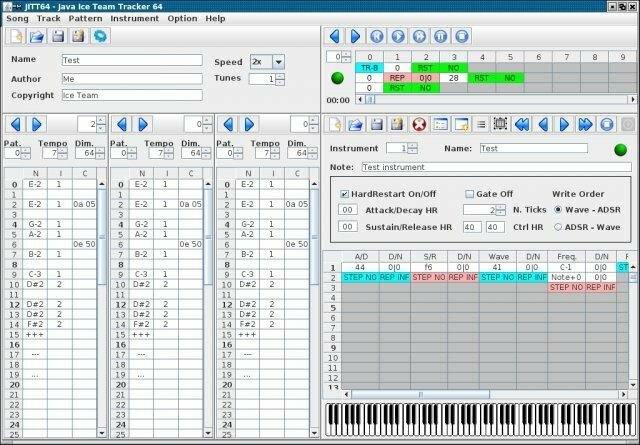 You have freedom in creating your music! 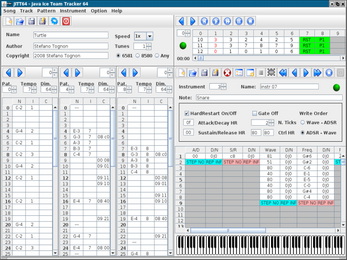 Each instruments (max 255) are based onto tables and one instrument can takes up to 2KB of data without sharing the definition with other instruments. 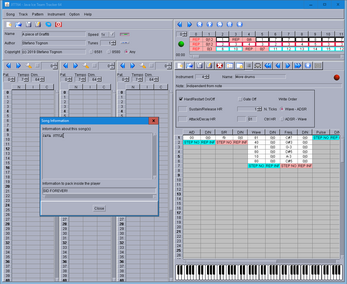 Not used features are removed when compiling the player to improve rastertime usage (it is possible to use undocumented opcode too). 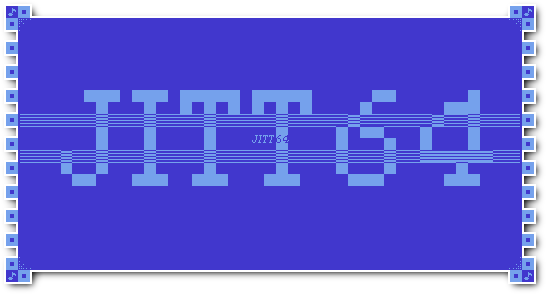 JITT64 has various themes to use, so even the look can follow your stile! 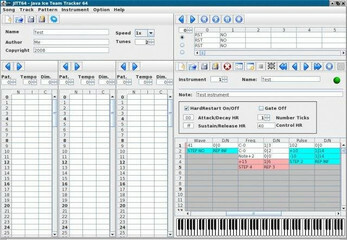 Option: add 468Hz A4 freq. 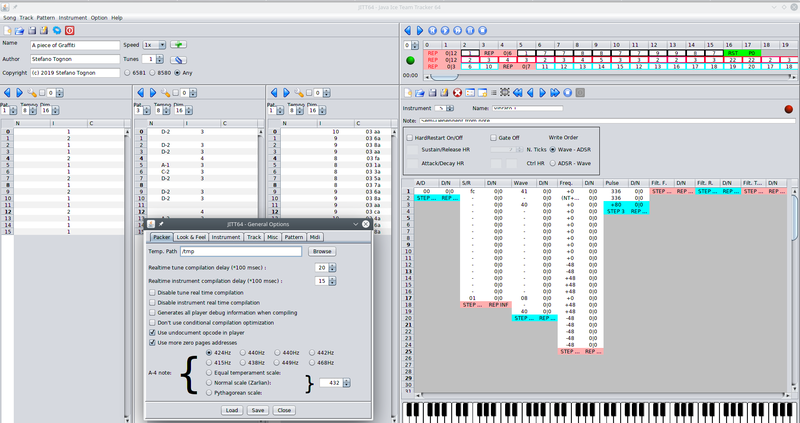 table (Paul Hugles), 415Hz table (Prosonix Editor), 438Hz table (Goattracker1 Editor), 449Hz table (Ian Crabtree) and fix invalid 434Hz table.